Paolo Stoppa (6 June 1906 – 1 May 1988) was an Italian actor and dubber. Born in Rome, he began as a stage actor in 1927 in the theater in Rome and began acting in films in 1932. As a stage actor, his most celebrated works include those after World War II, when he met director Luchino Visconti: the two, together with Stoppa's wife, actress Rina Morelli, formed a trio whose adaptions of works by authors such as Chekhov, Shakespeare and Goldoni became highly acclaimed. He debuted in television in 1960 in the drama series Vita col padre e con la madre, reaching the top of the popularity in the 1970s, in particular in the adaption of crime novels by Friedrich Dürrenmatt (Il giudice e il suo boia and Il sospetto) and Augusto De Angelis. As a film actor, Stoppa made some 194 appearances between 1932 and his retirement in 1983: films he appeared in include popular classics such as Miracolo a Milano (1951), Rocco e i suoi fratelli (1960), Viva l'Italia! (1961), Il Gattopardo (1962), La matriarca (1968), Amici miei atto II (1982). 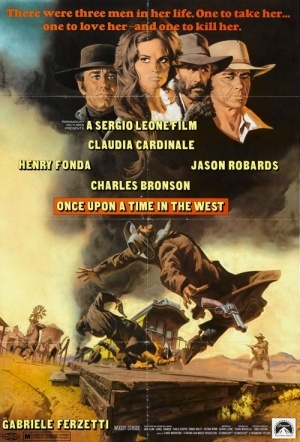 He also had a role in the Sergio Leone epic Once Upon a Time in the West (1968) and cameoed in Becket (1964). Stoppa was also a renowned dubber of films into Italian. He began this activity in the 1930s as dubber of Fred Astaire. Other actors he dubbed include Richard Widmark, Kirk Douglas and Paul Muni.